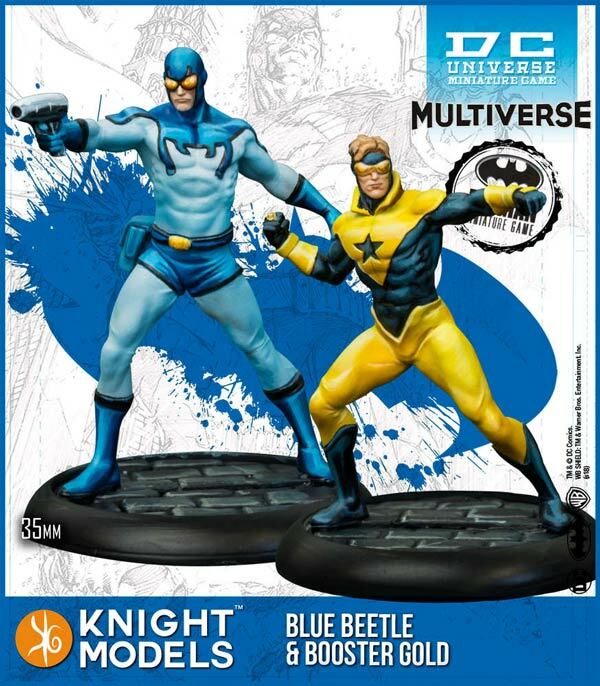 Knight Models, manufacturer of the DC Universe Miniature Game, has a new set available. In a word: Bwah-ha-ha! These miniatures are only about an inch-and-a-half tall, and come in unpainted parts. (Don't expect to find any as good looking as the solicitation picture out of the box.) They are already for sale in Spain, and should be coming to specialty gaming stores stateside later this month. More details available at knightmodels-store.com. If you had eight Booster Gold autographs and Booster gave you nine more, how many autographs do you have? If you had six dollars and then spent five dollars on Booster Gold comics, how many dollars do you have left?